Kuniskis salvaged Fiat brand's return to North America. Tim Kuniskis, the car-crazy U.S. sales guy handed control of Fiat Chrysler Automobiles' celebrated Alfa Romeo and Maserati brands, knows something about creating excitement. He made his mark by championing Dodge's performance brand revival, which led to his being named head of passenger car brands in North America in 2015 — and won him lots of praise from Fiat Chrysler CEO Sergio Marchionne. Now, the 51-year-old veteran of Chrysler's zone sales ranks is being asked to light a fire under the two Italian marques. Kuniskis replaces Reid Bigland in the global Alfa and Maserati jobs. Bigland, 50, has overseen the two premium brands since 2016. He retains his role as head of U.S. sales and CEO of FCA Canada. 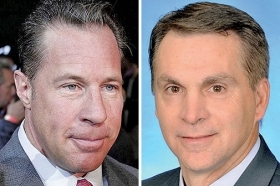 FCA named Steve Beahm, 54, a longtime executive, to replace Kuniskis as head of the Chrysler, Dodge and Fiat passenger car brands in the U.S.
Bigland and Kuniskis will both continue on FCA's Group Executive Council, the automaker's highest-level management decision-making body, FCA said. Beahm was not appointed to the council. Kuniskis took over the struggling Dodge brand in 2013 after successfully salvaging a botched return of the Fiat brand in North America. A lifelong fan of Dodge — and the owner of a restored 1971 Challenger — Kuniskis relished the role at the brand, injecting his own frenetic style into the lineup. In 2014, he focused Dodge's future on performance and embraced its muscle car heritage. Dodge launched the 707-hp, 6.2-liter Hellcat- powered Challenger SRT and Charger SRT models and sponsored street-legal drag racing. For the brand's 100th anniversary that year, he brought the story of the high-spirited Dodge brothers to the brand's marketing. Last year, Kuniskis reveled in the launch of the Challenger SRT Demon, a one-year, special edition street-legal drag racer powered by a supercharged 6.2-liter V-8 that could produce up to 840 hp — enough power to lift the front wheels at launch. The result of the effort was renewed life for Dodge — which, in 2009, had been a mishmash of products from the Avenger sedan to the Grand Caravan minivan and the Challenger. Kuniskis' efforts gave Dodge a definable brand identity, according to Marchionne. At the Detroit auto show last month, the CEO said: "Our commitment [to passenger cars] continues to be quite strong, especially when it comes to Dodge. We have found a way to play in the passenger car side with Dodge in a very clear way, and we're very uniquely positioned. I don't think we're going to abandon that market, especially given Kuniskis' attachments to V-8s. I think he has one in his bedroom." In a statement last week, Marchionne suggested that Kuniskis' skill set will come in handy for the two Italian brands. "With the launch of the Alfa Romeo Giulia and Stelvio and the Maserati Levante complete, we must now intensify our focus on the commercial elements that will drive global growth for these brands," Marchionne said in a statement last week. "As Reid has established the commercial foundation for Alfa and Maserati, [the new assignment] allows Tim to dedicate his efforts solely on the next chapter of these storied brands." Alfa increased sales significantly in 2017, thanks to full-year availability of the Giulia sedan and the launch of the Stelvio crossover in the first half of the year. Market researchers JATO Dynamics estimate the brand's global sales were 118,000 last year, up from 71,700 in 2016; FCA does not publish production or sales figures by brand. The brand's sales, though, fell short of Marchionne's expectations. He told analysts in July that he expected sales to be 170,000 for 2017. The brand is unprofitable and will to continue to be in 2018, said Marchionne at the Detroit show. Maserati increased deliveries to 51,500 last year from 42,100 in 2016, thanks to full-year availability of the Levante crossover. Marchionne also said the change allows Bigland to focus on breaking FCA's 17-month streak of consecutive sales losses in the U.S.
"In North America, with the execution of our industrial plan now well underway, shifting from cars to SUVs and trucks, Reid's complete attention will be placed on accelerating sales growth in the U.S. and Canada," the CEO said. 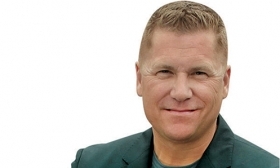 Beahm takes control of Dodge, Chrysler, Fiat as well as the SRT subbrand after a career that began in Chrysler's dealer network and sales operations. He later had stints as FCA's head of supply chain management and as head of Maserati North America. Beahm, a native of Missouri, has worked at Chrysler since he started as an administrative trainee in its Atlanta regional office in 1987. Andrea Malan contributed to this report.